It seems that Penhaligon’s are in the mood to spoil us with not one, but two new perfumes this year. If you are too impatient to wait for the arabesque of iris that is Iris Prima that is due to launch in September, then worry ye not, as this month the brand have unleashed a brand new Eau de Parfum that most definitely deserves attention. ‘Vaara’ is the name of Penhaligon’s latest offering and it takes inspiration from the Royal House of Marwar-Jodphur in Rajasthan. Created by venerable perfumer Bertrand Duchaufour (also responsible for Amaranthine and Sartorial) Vaara was commissioned by His Highness Maharajah Gaj Singh II to commemorate the birth of his granddaughter, Vaara. To capture the sights, sounds and scents of Jodphur, Duchaufour took a trip to India (the lucky boy gets to go to all of the best places) and explored the world of the Maharajah. The result is a truly exceptional composition (I’m so smitten I wore it as my graduation scent) that is not only evocative of a geographical location but also captures the spirit of an exotic and lavish way of life. Vaara has the most intriguing opening accord of quince and rosewater. The former is tart, zingy and mouth watering whereas the latter is sweet and refreshing. Together, along with a good dollop of saffron cream, the top notes create the image of a delicate, floral milk that is as luxurious as it is delicious. At this stage one may be thinking; “hey, hasn’t Bertrand taken an olfactory trip to India before?” and that is absolutely correct. M. Duchaufour famously created the three (and soon to be four) India-inspired fragrances for Neela Vermeire Creations but it would be fair to say that he treads entirely new ground with Vaara, and other than a vegetal, almost carroty rose in the core that is has a slightly similar feel to Neela’s Mohur, this new fragrance stands on its own two feet as something entirely new. Rose really dominates for a lot of Vaara’s development and it is a rose that is rich and complex in character. There is the aforementioned carroty-ness, as well as a soft dustiness & earthiness (accented by iris) and hints of rose-flavoured black tea. Running parallel to the rose is a graceful accord of pollen-filled white flowers in full bloom, adding a rich and fertile quality to the heart. In the base Vaara gets richer and displays its foundation of robust woods. There is also a syrupy, honeyed texture that sits beautifully on a subtle bed of sweet, delicious tonka bean. The base notes are, unsurprisingly not as vibrant as the notes in the opening, but wearing Vaara one feels as if one has taken a journey through the spectrum of colours; starting with vivid lime greens, maya blue & fuschia pink and finishing with royal reds, purples and browns. Although it is important not to shower a fragrance with too much hyperbole (I’m always cautious of hyping things up) I cannot help but admit that Vaara is my favourite launch of the year so far. Just like its (absolutely beautiful) packaging, It is vibrant, colourful, & exotic, and simply smelling it one is transported to the lush gardens of Jodphur, sipping tea amongst the palaces and peacocks with the Maharajah. What a life that would be, eh? 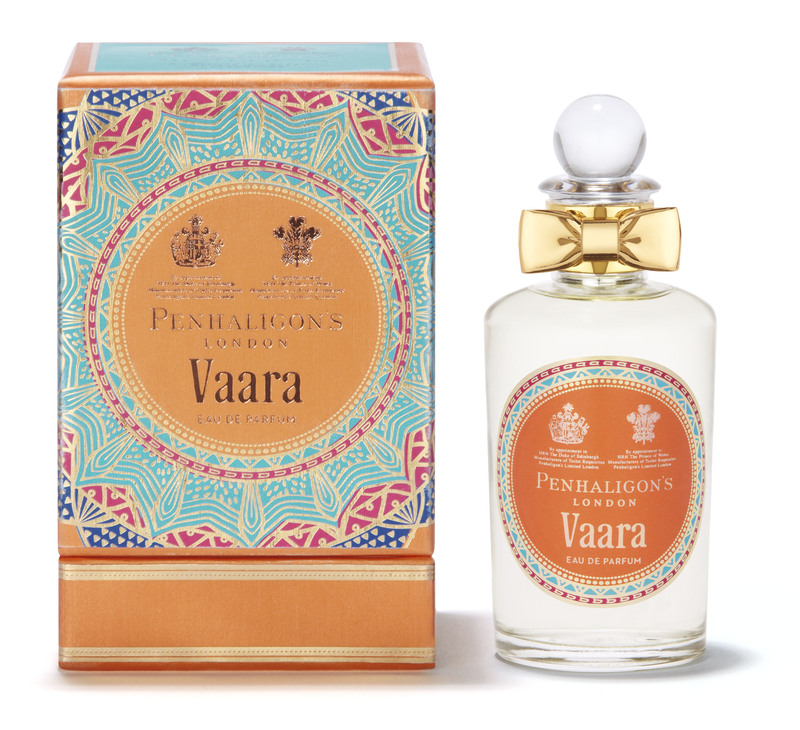 Vaara is available in Penhaligon’s boutiques and stockists in 50ml (£85) and 100ml (£120) Eau de Parfum. It will also be exclusively available in India at the Umaid Bhawan Palace Collection Shop. Sample, image 1 and quotes via Penhaligons. Image 2 my own. Posted in Oriental, Penhaligon's, Perfume Reviews, Unisex and tagged Bertrand Duchaufour, His Highness Maharajah Gaj Singh II, House of Marwar-Jodphur, Oriental, Penhaligon's, Vaara. Bookmark the permalink. It sounds absolutely gorgeous. I really liked Bombay Bling, so perhaps I might enjoy this as well; love the idea of this being a graduation scent as well. Bombay Bling! is wonderful! It is a heck of a lot more zesty and fruity than Vaara, which is warmer and richer but I’d happily have bottles of both. The carrot and iris are a little concerning for me but the rest of it sounds great. I’m also intrigued by the fact that it’s your favorite release of the year so far. I did think twice about adding the bit about it being my favourite launch this year so far but I really am I smitten so the accolade is most deserved. The carrot vibe is definitely more prominent than the Iris. Both nuances work wonderfully. Sounds like a good one! 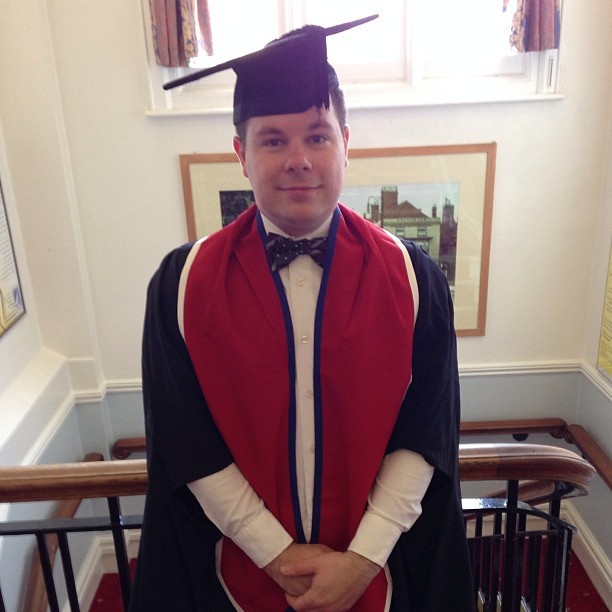 Congratulations on your graduation! Vaara sounds incredibly good. Can’t wait when Penhaligon’s stockists in Poland will have it joined in the offer. I would never have heard of this one without your review. Thank you, Thomas! You’re welcome Ari! Do sniff it if you get a chance. You just created a lemming. I have been wondering about this, but it is now a MUST try! Great review. Your writing in this post is just gorgeous. If the perfume is half as nice it’ll be a winner. It doesn’t sound like a spice-fest either, which is a plus point for me. Thanks Tara! I can vouch for the fragrance being just as nice! It certainly isn’t a spice fest too. It’s one of those ones where there is so much (wonderful) stuff going of it’s difficult to classify. Ever since I saw the info before it launched I was already highly tempted. From the beautiful outer box, sticker to that golden bow! Ugh. Hehe I’m glad to have helped build your need for this one! For some reason, this one was just not exactly calling out to me. I was even poised to flat-out ignore it (at least for a little while.) … Well, so much for that idea – in one fell swoop, u’ve just changed my mind for me. Oh well, should’ve learnt by now -> RESISTANCE IS FUTILE !! Resistance is definitely futile and as chief enabler here at The Candy Perfume Boy you know that I am happy to be a perfume pusher!